With innovative design, incredible attention to detail and an ability to consistently deliver freshly-filtered water, Triflow Concepts is unbeatable for quality and reliability. Our filters, which provide the fresh, tasty and safe drinking water, are positioned in a compact and durable filter housing unit under the sink worktop. 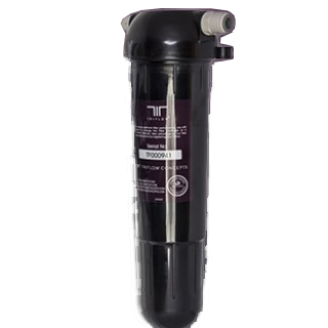 * The stainless steel TF105 water push-fit filter housingcomes inclusive with the TFE500 filter. 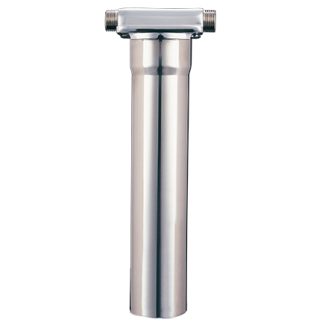 This brand new, stainless steel, slim-line filter housing is more hygienic than other models, connects easily to existing systems and being slimmer, does not take up as much space. The quarter turn bayonet fit makes it easy to attach to your filter and there is no need to remove the tap during fitting. * The stainless steel TF104 push-fit filter housingis compatible with the TFE500 and TRX160 filters. The TF104 is the same stainless steel housing unit as the TF105 but just without the relavant filter cartridge included. * The stainless steel TF103 filter housing unit is suitable for the following screw-fit filters: TF321, TF160 and 1659. With the same outstanding qualities as the other filter housings in our range, the TF103 has the same slim-line design, meaning it's not as bulky as other filter housings on the market. The 304l stainless steel of these filter housing units makes it more hygienic than other models and the quarter-turn bayonet-style housing means it's very easy to fit to your filter. Each of our stainless-steel filter housings are extruded from one sheet of steel and are therefore free from joints. They also come with braided hoses, a selection of John Guest connections, wall brackets, fitting instructions and an extra connection to attach the braided outlet hose to the stop valve. We also sell the plastic TF101 filter housing, for the following filters: TF321, TF160 and 1659. One of the reasons that we can deliver high quality, crystal clear drinking water in the UK is our use of high-performing, advanced tap filters. These are filters that are manufactured exclusively for us by award-winning Katadyn.